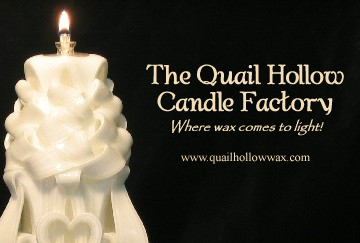 The Quail Hollow Candle Factory & Gift Shop - Where wax comes to light! 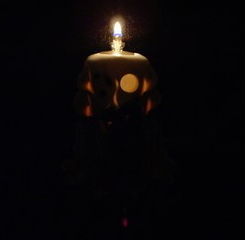 We offer a wide variety of quality hand carved tea light insert-burning candles. Each is crafted of the finest waxes. 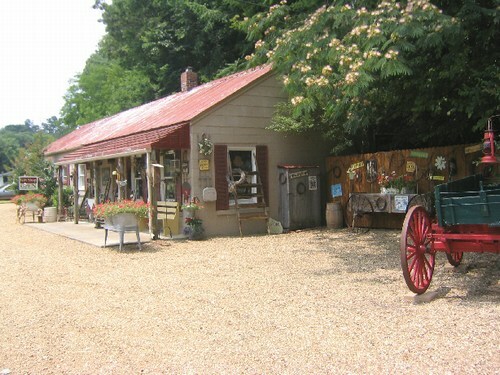 All are original and copyright protected and are solely owned by Quail Hollow. We specialize in wedding candles that come in several different styles and all are reusable with the tea light insert or taper. Wedding candles come in white only. Some of our different types of hand carved tea light insert burning candles are lighthouses, Americana, angels, religious, butterflies, and seasonal, just to name a few. If you supply the figurine, we can create specialty candles such as John Deere, Harley Davidson, NASCAR and some sports. In order for you to get many years of use out of your candles, the bulk of our carved candles have a space carved out for replaceable tea light inserts to fit in them. We carry several lines of scented candles, too. There are different types such as regular jars, hand-packed parfait wax jars, tarts, tin cups. Year 'round happenings at the Factory in Adolphus, KY. Check back often for new stock and seasonal changes. Click here for directions and store hours. Now that we've got more than a few seasons under our belts in the Gate House, this year stands to be better than last. We can't wait! Come on in, say "Hi!" to Harold, and see what's new! Berlin Craft Mall and Sol's of Berlin locations are restocked throughout the year. Come see what we have in store for you now! Click here for more information on our Amish Country Locations. Our wedding candles are meant to last forever. They have oil lamps in them instead of wicks so you can enjoy them for years to come, not just on the wedding day. Each wedding candle is hand-carved to match your style of wedding exactly. Carved in a creamy wax that matches any wedding dress; white or ivory, our candles are sure to match whatever your home decor so it can go on display with the wedding portraits. Each year, as it gets closer to June, the busier we will be carving wedding candles. Wedding candles will take longer to process starting in April, due to the volume of orders coming in. Browse our selection and take the time to decide what style unity or wedding party candles you would like for your special day early, to allow plenty of time for your candles to be hand-crafted and shipped to you. Check out our huge selection of Wedding Unity Candles and sets here.